"In the Constellations of life let us look for the glimmering particles of truth and uncover the dark matter in between." By asking 5000 school children in Singapore to tell her their secret wishes & ambitions for the future, Nicola built a sculpture made of 5000 wishes, giving children an opportunity to tell her a meaningful truth: some beautiful, some mundane, some moving, some insightful. The sculpture was launched to fit in with the positive rally cry of Singapore’s 50th Anniversary as a nation. 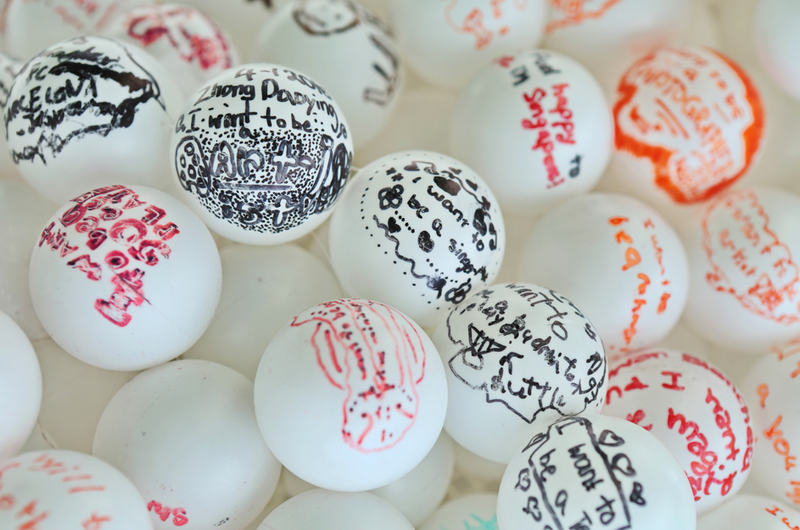 Each child wrote their truth on a ping pong ball, which was then woven into a sculpture of the white orbs and lights, in the shape of an Ouroboros, the never-ending cycle of progress. Upon close reading, there were a lot of other narratives, personal and national, that were told through the Ouroboros. 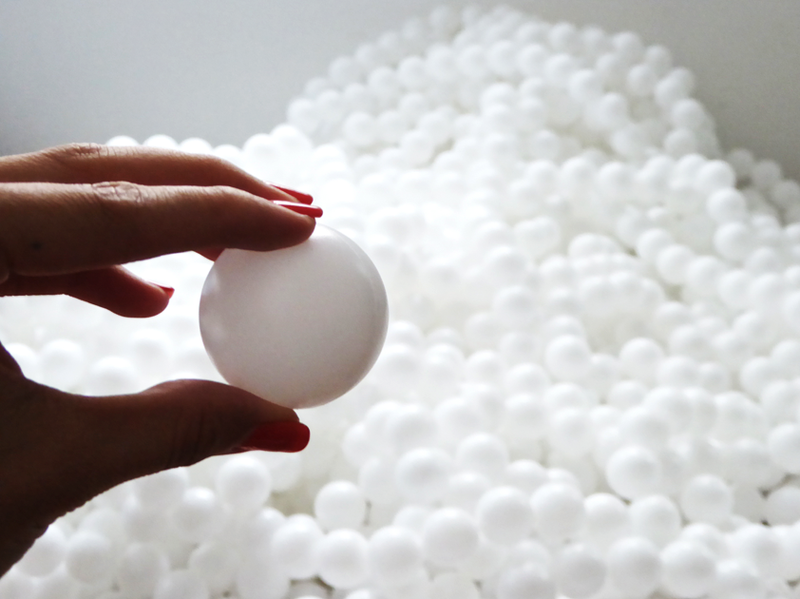 In the Art Studio: The making of a light sculpture using 10,000 ping pong balls and light. Public sculpture: South East Asian Games 2015 interview with Nicola and 5000 children. Yu Neng Primary School, St. Nicholas Girl’s School, Green Ridge Primary School, My First Skool arts programme (Island-wide), Wee Care.